Sonali Kolhatkar (2018-10-19). Have Democrats Forgotten About This Summer's Immigration Debacle? truthdig.com In neglecting the issue of immigration, Democrats are in danger of handing the GOP yet another issue to repackage and repurpose in the lead-up to the midterm elections. Staff (2018-10-19). Thom Hartmann: Billionaire-Funded Fascism Is Rising in America. truthdig.com If Republicans succeed in dismantling Social Security, Medicare and Medicaid, we can kiss what's left of our democracy goodbye. wsws (2018-10-19). Trump threatens to deploy military to close US-Mexico border. 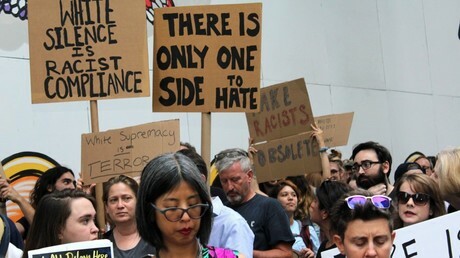 wsws.org Trump, with the complicity of the Democrats, has invoked the phony "threat" of the immigrant caravan to whip up xenophobia before the midterm elections. wsws (2018-10-19). Genuine socialism vs. the Democratic Party politics of Bernie Sanders. wsws.org Amid growing opposition to capitalism and interest in socialism, Sanders plays a critical role in directing oppositional sentiments back behind the Democratic Party. Matthew Chapman, AlterNet (2018-10-18). Disgusting Ad for GOP Congressman Tells Black Voters Kavanaugh Hearings Prove Democrats Would Lynch Them. alternet.org A radio ad supporting Rep. French Hill goes completely over the line in trying to target black voters. | On Thursday, an ad aired on radio stations geared toward African-Americans in support of Rep. French Hill (R-AR) and generated immediate outrage. The ad, paid for by a group calling itself Black Americans for the President's Agenda, essentially said that "white Democrats'" opposition to Brett Kavanaugh and desire to investigate his sexual assault allegations prove th. . .
Marshall Auerback, Independent Media Institute (2018-10-18). The Democrats' Globalization Dilemma. 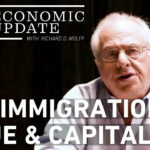 alternet.org How the party's economic and immigration policies end up catering to the wealthiest sliver of American society. | Globalization presents a fundamental dilemma for the Democratic Party: Do you get to greater economic fairness by more redistribution in a globalized, financialized/IP-dominated economy, thus accepting open borders and innovation-led growth—or by rebuilding the profitable productive economy to increase domestic incomes and wages, thus e. . .
Matthew Chapman, AlterNet (2018-10-18). Here's Why These Republican Women Are Running Ads to Support Democrats in Michigan. alternet.org Not all Republicans remain steadfastly loyal to Trump. | On Thursday, the Detroit Metro Times reported that a PAC called Republican Women for Progress is advertising in two crucial House races in Michigan — for Democrats: Republican Women for Progress PAC tells Metro Times it has taken out $50,000 television ad buys in. . .
Cody Fenwick, AlterNet (2018-10-18). Beto O'Rourke Just Gave Democrats' Best Answer Yet on Whether Congress Should Vote to Impeach Trump. alternet.org It's been a tricky issue for Democrats — but he nailed it. | As they barrel optimistically toward the 2018 midterm elections, Democrats have sometimes struggled to handle the question of impeaching President Donald Trump. While many in the party's base are enthusiastic about the prospect of removing the president, the more skittish members of the party fear the prospect of impeachment could rally Trump supporters and scuttle Demo. . .
Posted on 2018-10-19 by J. Read Part I here. | There are 57 candidates for the Democratic nomination in 44 congressional districts who boast as their major credential their years of service in intelligence, in the wars in Iraq and Afghanistan, at the State Department, … | The post The CIA Democrats: Agents and War Commanders appeared first on Global Research. Have Democrats Forgotten About This Summer's Immigration Debacle? In neglecting the issue of immigration, Democrats are in danger of handing the GOP yet another issue to repackage and repurpose in the lead-up to the midterm elections. 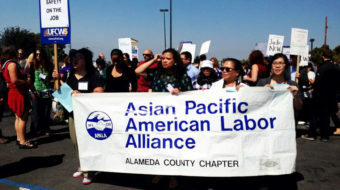 | The post Have Democrats Forgotten About This Summer's Immigration Debacle? appeared first on Truthdig: Expert Reporting, Current News, Provocative Columnists. If Republicans succeed in dismantling Social Security, Medicare and Medicaid, we can kiss what's left of our democracy goodbye. | The post Thom Hartmann: Billionaire-Funded Fascism Is Rising in America appeared first on Truthdig: Expert Reporting, Current News, Provocative Columnists. Trump, with the complicity of the Democrats, has invoked the phony "threat" of the immigrant caravan to whip up xenophobia before the midterm elections. Amid growing opposition to capitalism and interest in socialism, Sanders plays a critical role in directing oppositional sentiments back behind the Democratic Party. How the party's economic and immigration policies end up catering to the wealthiest sliver of American society. | Globalization presents a fundamental dilemma for the Democratic Party: Do you get to greater economic fairness by more redistribution in a globalized, financialized/IP-dominated economy, thus accepting open borders and innovation-led growth–or by rebuilding the profitable productive economy to increase domestic incomes and wages, thus e. . .
Why Can't the Democrats Reach the Millennials? A radio ad supporting Rep. French Hill goes completely over the line in trying to target black voters. | On Thursday, an ad aired on radio stations geared toward African-Americans in support of Rep. French Hill (R-AR) and generated immediate outrage. The ad, paid for by a group calling itself Black Americans for the President's Agenda, essentially said that "white Democrats'" opposition to Brett Kavanaugh and desire to investigate his sexual assault allegations prove th. 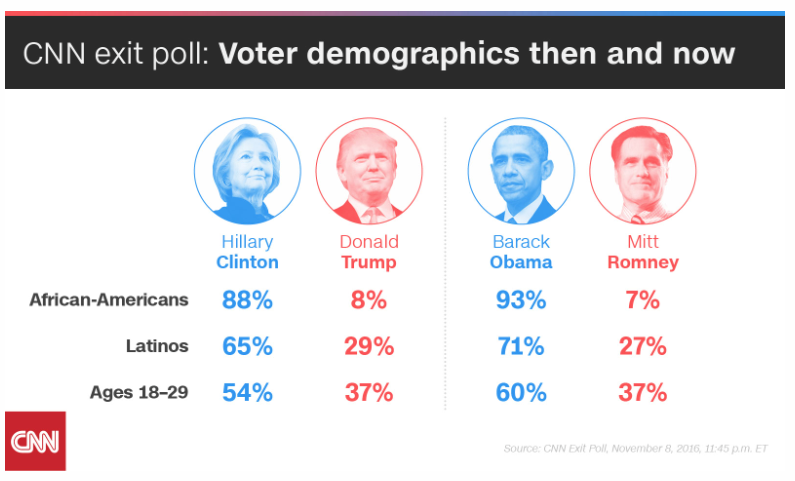 . .
Not all Republicans remain steadfastly loyal to Trump. | On Thursday, the Detroit Metro Times reported that a PAC called Republican Women for Progress is advertising in two crucial House races in Michigan — for Democrats: Republican Women for Progress PAC tells Metro Times it has taken out $50,000 television ad buys in. . .
Data for Progress, a left-wing think tank, is raising money for eight candidates whose races could lead to Democratic control of their legislatures. | The post Small Donors Suddenly Pour In to Flip Eight State-Level Seats — and Legislatures appeared first on The Intercept. Trump "is assisting a foreign government in a conspiracy to obstruct justice in the political murder of a resident of the United States. " | As President Donald Trump continues to provide cover for Saudi Arabia while making no moves to hold the kingdom accountable for the suspected murder of Washington Post columnist Jamal Khashoggi, Democratic senators have demanded records detailing any and all financial ties the president has with the Saudis. Noting th. . .
And it's not just Democrats. | Despite the success Sen. Ted Cruz (R-TX) has had in politics, there's a simple fact about him as a candidate that no one seems to deny. Of all modern American politicians, few attract the same level of deep hated that Cruz inspires. Even many of his fellow Republicans and political allies share in this negative appraisal. A recent political ad — actually, a video posted on a YouTube channel that claims not to be. . .
Two Minnesota GOP candidates and a Nevada GOP campaign manager were attacked in separate incidents over the last week as some Democratic leaders call for an end to civility in the run-up to the 2018 elections. 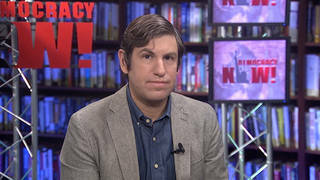 A new book promoted by the Democratic Socialists of America (DSA) is centered on the lie that the West Virginia teachers' strike, which set off the series of strikes nationally last spring, was a "victory" in which the unions played a heroic role. 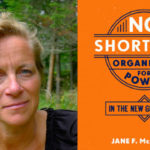 Union Organizer and Author Jane McAlevey joins us to bring three lessons the Dems have to learn. We talk about her New York Times op-ed | The post Union Organizers Can Put The Fight Back In The Democrats appeared first on The Real News Network. It's been a tricky issue for Democrats — but he nailed it. | As they barrel optimistically toward the 2018 midterm elections, Democrats have sometimes struggled to handle the question of impeaching President Donald Trump. While many in the party's base are enthusiastic about the prospect of removing the president, the more skittish members of the party fear the prospect of impeachment could rally Trump supporters and scuttle Demo. . . While leading Democrats and Republicans have called for sanctions over the Saudi journalist's killing, Washington has maintained a discreet silence over the US-backed mass murder in Yemen. "Nobody can afford rising health costs and still make ends meet on our pay." A Super PAC Is Spending Millions Attacking Democrats Who Can't Lose. What's Going On? The political action committee's odd spending decisions are a window into the absurd campaign finance world ushered into existence by Citizens United. | The post A Super PAC Is Spending Millions Attacking Democrats Who Can't Lose. What's Going On? appeared first on The Intercept. 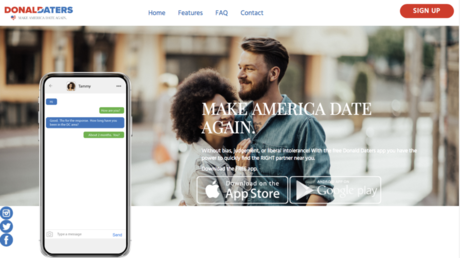 Donald Daters, a new app seeking to "make America date again" and address the needs of young Republicans who feel excluded from the liberal dating scene, has reportedly leaked users' personal data immediately after the launch. Will North Dakota's Discriminatory Voter-ID Law Cost Democrats the Senate? Saturday Night Live actor and relentless Trump critic Alec Baldwin has called on Democratic voters to "overthrow" the government of the United States at the ballot box.